legal issues you are facing. 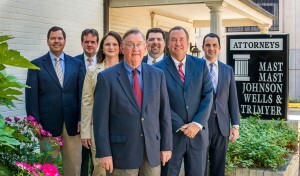 Attorney Representation based in Smithfield, North Carolina Since 1962. 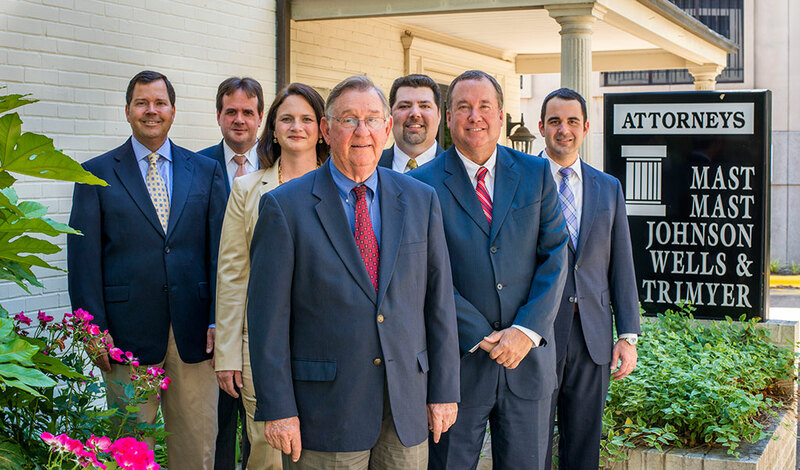 Since 1962, the attorneys at The Mast Firm have provided effective legal representation to clients throughout eastern North Carolina. While our legal practice focuses on Johnston County and Wake County, we also service neighboring counties with ease. We have earned a reputation as an ethical group of hard-working Johnston County lawyers who put clients' needs first - wherever they are located. Find out more: Clayton lawyers, Garner Lawyers, Selma Lawyers, Benson Lawyers, Princeton Lawyers and Smithfield Lawyers. The Mast Firm is large enough to handle the most complicated cases. At the same time, we tailor our legal approach to our clients' unique needs. If you are looking to consult an experienced local lawyer regarding a traffic ticket, personal injury claim, estate planning need, or a family law matter, do not hesitate to contact us. We are ready to promptly help you. For more than four decades, our attorneys have represented plaintiffs and defendants in a wide variety of legal cases. With that kind of experience, we know what to expect - and what YOU should expect. We will make sure you get the solid legal representation you expect whatever type of case you have. Our personal injury attorneys fight aggressively for you. Whether you were injured in a car, truck, medical malpractice accident, or were injured at work, we will fight to obtain the maximum amount of financial compensation from the responsible parties. Family law matters affect people personally and emotionally. They involve whom we choose to share our lives with and how we raise our children. Decisions made in family court can affect your family and your finances for many years to come. That is why we believe it is important to retain an experienced North Carolina family law attorney to assist you with your legal issue. Traffic offenses do not only include minor infractions and speeding tickets; multiple lesser offenses can result in more serious charges being brought against you, and modern legislative trends indicate that certain offenses may receive harsher punishments in the future.At Mast Law Firm, our traffic ticket law firm and attorneys can help protect you and help you avoid excessive cost! If you are injured by the negligence or recklessness of another person, retaining a lawyer as soon as possible can help you and is often vital to preserve your right to recover damages. Our personal injury attorneys have been handling injury and death claims since the 1960's, and we can help you handle the financial stress that can be caused by unexpected injury or death. Wrongful Death and injuries as a result of another's negligence. 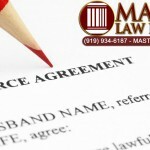 Serving Clients throughout North Carolina including Wake County, Johnston County and beyond.